consisting of quantized steps: ”quantum transitions”. - The occurrence of these quantum transitions is not deterministic, but governed by probability laws. No, this is a very strange statement of the QM basic principles. Position, momentum, time, frequency, energy, etc. are not necessarily discrete. 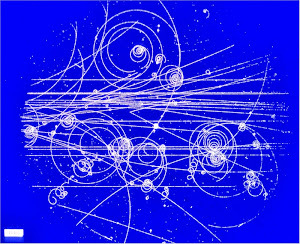 The wave function for an electron is typically a continuous function of space and time, and progresses smoothly according to a differential equation. So it is just wrong to say everything is discontinuous. The emphasis on probabilities is also misleading, as he concedes that other physics theories also hinge on probabilities. He distinguishes QM by whether "insufficient knowledge" is involved, but that is just a philosophical issue. the theoretical determination of these probabilities is one of the profound tasks of Quantum Theory....”. Some problems have a discrete spectrum, but all this talk about a discrete manifold is misleading. The essence of QM is that the observables are represented by non-commuting linear operators. The core of the theory is continuous, with continuous spacetime, continous wave functions, etc. For all we know, light is continuous, but only shows properties at discrete frequencies sometimes because some continuous problem has a discrete spectrum. Even then, that spectrum can often be perturbed by applying an electric or magnetic field. 1. No, light does show discreteness in the low-flux experiments, whether you regard the photon as spatially delimited or not. Radiation and absorption processes involve not just jumps between different energy eigenstates (as captured by the creation/annihilation operators) and therefore specific frequencies, but also a certain temporal discreteness to them. Now, sure, when it comes to photons, the case for a supposed spatial discreteness is not quite on an equal footing. In theory, you may consider the fact that the nuclei of atoms are localized and isolated (i.e. spatially distinguishable), and use this fact to deny spatial discreteness to the photon. According to this argument, the photon does appear to be spatially discrete, but that is only because, in this argument, it goes from one atom to another atom and the two atoms are spatially isolated (i.e. they are discrete). However, continuing the same argument, the actual transmission of the EM energy occurs only as a continuous flow-like process between the two. In other words, you may offer an analogy to pouring of a drink from a bottle to a glass, and contrast it from putting a basketball into the ring. The ball has discreteness, but the flow of the drink doesn't (at least not for the ``middle'' duration of the process). You may argue that way. But no matter how you look at it, temporally, the photon always remains discrete---whether there is perturbation or not, and whether the photon propagation dynamics is ballistic or diffusive. 2. As to ``Natura non facit saltus'', things aren't always as simple as they might initially appear to the layman. Take a piece of paper and fold it to produce a sharp fold. The paper remains continuous (it has not been torn apart, i.e. the C0 continuity exists), but the two parts are clearly distinguishable from each other because of the fold separating the two. Now, assume the fold to be infinitely sharp, i.e., a lack of differentiability. If you now take a pencil and trace a continuous curve on the folded paper, even if you don't ever have to lift the pencil off the paper, its crossing over at the fold can still regarded as a jump---a discrete jump from one part to another. Conclusion: Smoothness (or a lack of it) can be used in order to define a jump, even if a basic continuity is assured. 3. Yes, the core of the QM theory _is_ continuous. Doesn't TDSE govern the quantum jumps? I agree with most of what you say. And yes, a jump in the derivative is a jump, even if there is no jump in the function. But all those experimental proofs of the temporal discreteness of the photon depend on some material absorbing the photon and turning it into an electrical signal. That means that the photon had to strike some atom, and knock an electron into a higher energy level. Quantum mechanics teaches that those energy levels are discrete. So it is possible that the photon is not discrete, but it looks discrete because we only have discrete means for observing it. If I only ever listened to music on my (digital) computer, I might conclude that all music is discrete at 44kHz. Whatever a photon is, it is not a particle in the classical Newtonian sense. If you say it is a particle, you have to give it some sort of blurry existence by adopting some probability model for where it is and what it is doing. Roger, math is not nature and it makes no sense to claim something is continuous if the mathematical definition defines it has infinite discreteness. Again, you ignore this but apparently your UCLA education didn't give you any idea that continuity and discreteness are not opposites. I'm used to debating fifth-rate mathematicians, so this is just getting to be a copy-and-paste for me. You claim positivism but continuity is never provable. 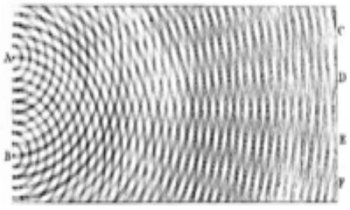 Physics is computational and MIT's Wen even says chiral fermions are simulatable with lattice gauge theories. Grow up. This argument is excellent. But does it fully settle the matter? I was not immediately sure, and so, though I am more or less fully in favor of it, I presented it only as an argument. If you ask why I hesitate: How about a global function that carries a hump? The hump makes it distinguishable (due to discontinuity in some n-th order derivative(s)), but the function remains continuous everywhere and hence, global (with a potentially infinitely large support). With such a hump, can't one still describe the photon as discrete, even spatially? But here is a rapid preview, simply because with you, I don't have to spend time on building the context. All in all, I think we are in a pretty good agreement, though there still remain a lot of issues and details to think through (esp. for me). Matthew, you are right that a positivist has to concede the possibility of discrete electrons because continuity cannot be proven. I said, "For all we know, light is continuous". I meant that light can be interpreted as continuous, but discreteness is also possible.